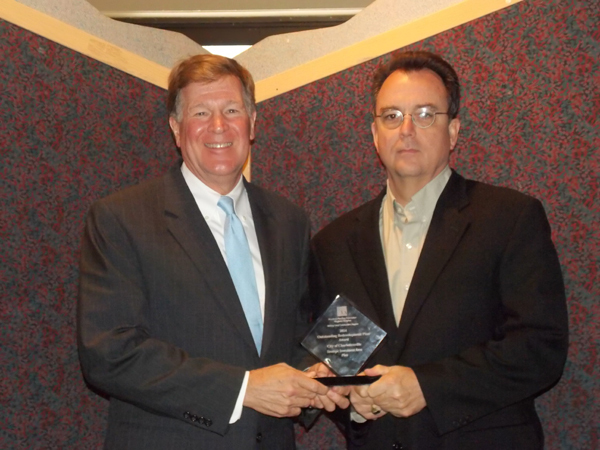 Cunningham | Quill is honored to have received our first American Planning Association (APA) Award from the Virginia Chapter of the APA for our Strategic Investment Area (SIA) Plan in Charlottesville, VA. 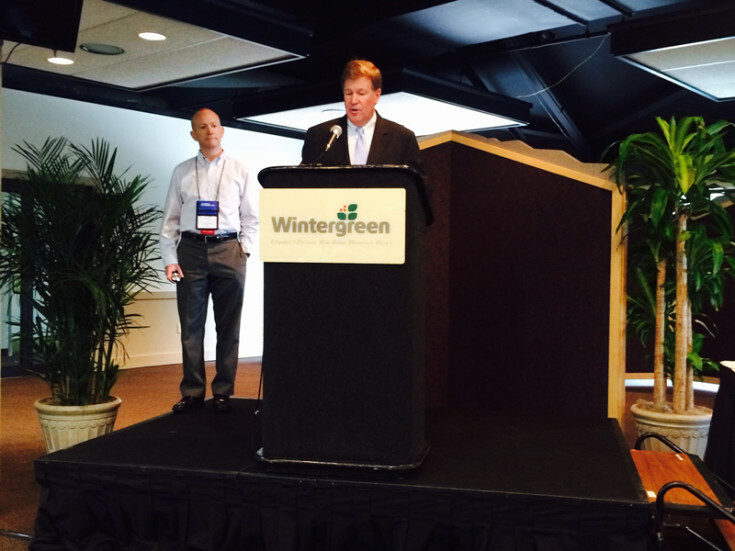 Founding Principal Lee Quill, FAIA accepted the state chapter’s top award for the “2014 Outstanding Redevelopment Plan” at the APA Virginia Annual Planning Conference “Innovations in Planning” held at the Wintergreen Resort on July 22, 2014. 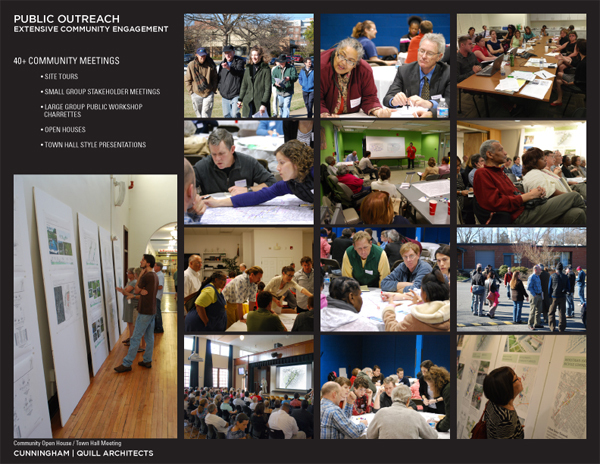 The joint submission by Cunningham | Quill Architects with Charlottesville’s Department of Neighborhood Development Services marks the second award the SIA Plan has received since its adoption in February 2014. The Strategic Investment Area (SIA) is approximately 330 acres located south and east of Charlottesville’s Downtown Mall in an area of residential and former industrial uses. The area suffered from disinvestment over time as the various industries relocated and older housing was removed to make way for new super-block housing developments. The plan developed by the Cunningham | Quill team, which includes Oculus, Bolan Smart Associates and Kittelson & Associates, proposes structuring more finely grained mixed-income, mixed-use neighborhoods around the armature of a linear greenway park. The linear park is a major central open space which follows the course of a former stream and is designed to accommodate storm water treatment while providing a much-needed community amenity. 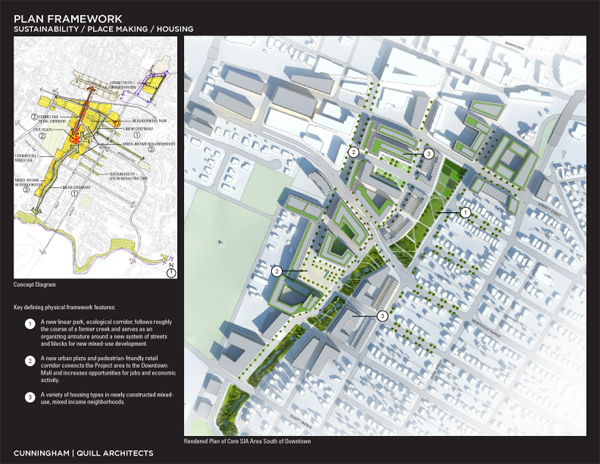 A reconnected street and block plan and open space system, with improved pedestrian and bicycle circulation, reweaves this area of the city back into the urban fabric of adjacent neighborhoods and trail systems. The Strategic Investment Area (SIA) Plan was formally adopted by the City Council on February 3, 2014 after a yearlong process of community engagement, study, analysis and design for this area of the city. Joining Lee Quill, FAIA, CNU in accepting the award was team member Rob McGinnis, Principal with Oculus’s Charlottesville office, our team’s landscape architect.